Meditation is a power tool that we can all learn and is often under utilized and misunderstood. It can teach us to become more mindful and in control of our emotions as well as bringing in the feeling of connectedness to all. It also allows us to create balance in all areas of their lives which has the flow on effect of being a more productive and creative person. 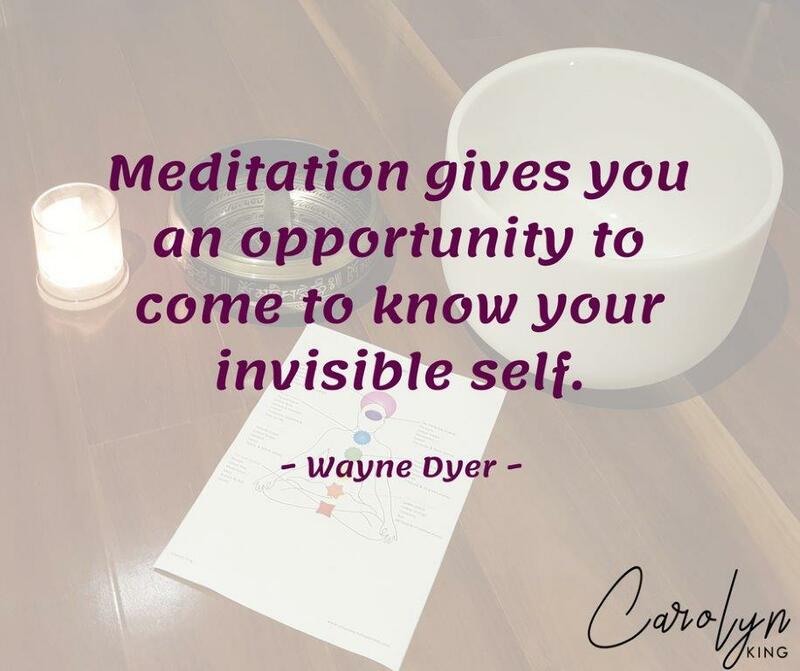 The meditations Carolyn teaches are a guided journey into your sub-conscious where all the answers to your questions reside. These classes are so much more than just meditation. They are personal development classes that will change your life. Classes are run weekly in a closed group setting. New participants are able to join at the beginning of each term. There are also one off classes run every few months if you would like to experience these types of meditations before committing. Carolyn personally attended these types of classes for over 5 years and it literally changed her life. It was one of the key tools she learned when she moved from depression to happiness. Meditation workshops can be run for both groups and businesses. There are many different themes to choose from and it’s a great way to learn more about yourself and to empower YOU to become a more productive, creative and happier person. If you would like to get a group of friends together to experience 3-4 meditations or if you feel your business could benefit with learning meditation as a tool to help employees become calmer and more productive, please contact Carolyn directly for information and prices at Carolyn@empoweredhappiness.com.